I originally designed this as a Mother’s Day card, but it really works for all special occasions! 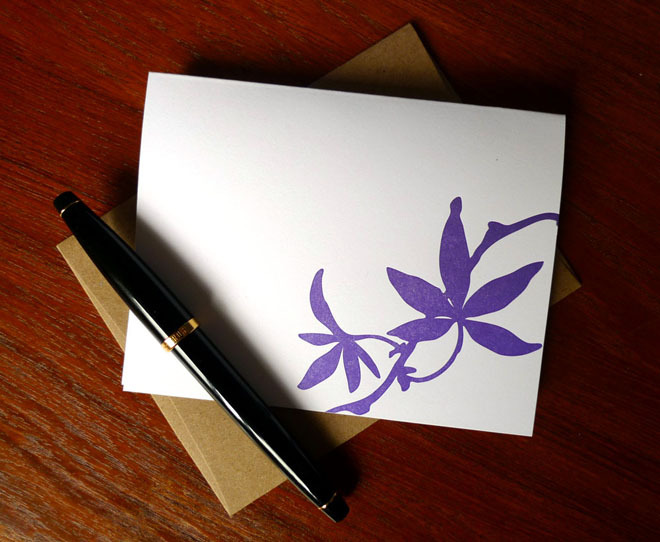 It is meant to express the beauty of Nature through the magnificent process of Letterpress. This card was hand printed on a 1913 Chandler & Price 12×18 printing press. THERE IS ALSO A RED VERSION OF THIS CARD! Please feel free to contact me if you have any questions! Just click the “Contact” next to the listing!